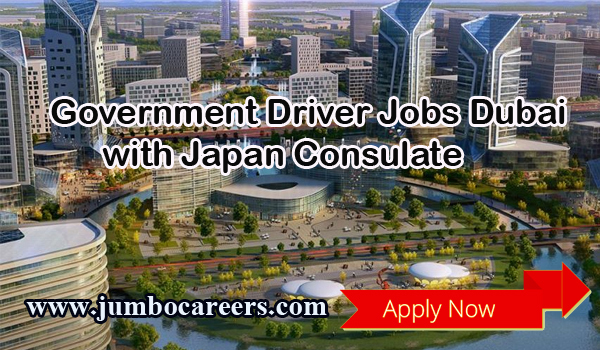 Consulate General of Japan in Dubai is looking for applicants for the post of drivers. 2. Very good written and verbal communication skills in English. 3. Must be available to work starting October 1st. 5. Work experience as a driver is preferred. How to Apply for Government Driver jobs in Dubai. Please note that Consulate do not accept any applications or inquiries over the phone. How can I apply for this job.i have 6 year experience in uae.